The plan is to run Jumbo Jim 4" on my current front wheel (I9/Whiskey no9) with the new fork. If anyone is running a Wren on a Khan I'd be interested in hearing about that, too. My instinct is to run straight for the Fox b/c of the geo match and I'm more familiar and comfortable with them as a company ... but I'm open to options. Last edited by mc2600; 04-02-2016 at 01:07 PM. Are you sure you have your front hub widths right? The Bluto fits a 150mm hub, not 135 or 110. Being the same boat the Wren seems like the best option. You get to keep the front wheel and they seem to be getting it dialed in per other posters. Plus, the Fox has 34mm stanchions where the Wren has 36(?). The Wren can also be ordered (or at least configured) to get the right a-c, and it seems easy enough to swap to 140 and back if you want to mess around. One little issue with the Wren is that people are having the steerer tube loosen in the crown, making the wheel go sideways while riding. 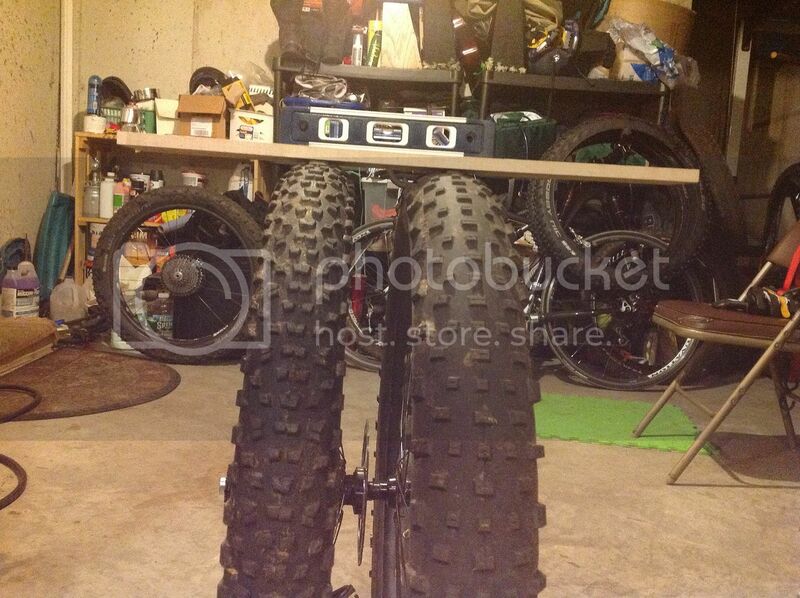 Go to the fat-bike forum and read about it and all the other issues with the fork. IMO, it's not really a serious product and they are doing product testing on the customers that have bought it. There's a few people that "really want it to work", but if my stuff did any of the stuff that they've described, I'd junk it in a minute. @Stroganof, you are right --- my current front hub is 150mm, so it'll either be end caps to convert it down to 110mm or a new hub if I go with the Fox. @Jayem, I have read those comments, too, although it seems like they've been making progress from early versions to the current iteration. Either way, the Fox is where my head is at the moment. I talked to Greg @ Turner on Friday and he said the Fox reps were there earlier in the week and this was part of the conversation. Hoping for a call back from Dave on Monday (or maybe a forum appearance for the small but devoted group of Khan owners) on some details. I'm really looking forward to dumping the Bluto. Last edited by mc2600; 04-04-2016 at 10:54 AM. Apparently Wren has fixed the problem with the steer tubes twisting (see thread on Fatbike forum) and seem to have figured out the damper problem. The Wren is a work in progress to a degree, but it seems fairly modular and easy to upgrade. Buying yet another wheel/hub is worth avoiding IMO. I'm the guy with the 140mm Fox 34 on the front of my Khan. I could not be happier with the performance over the Bluto. I went with the 140 travel and figured I could reduce it to 120 if I didn't like the change and can report that It will be staying at 140. Originally rode this with 27.5+ wheels and now also have 65mm Marge Lites with Jumbo Jims. No clearance issues. The bike is fantastic in both configurations. Virtually no difference. Sorry for the crappy pic, but the OD of both setups is so close I don't notice any difference. turner king khan any good?